Manchester’s most eye-catching new leisure attraction, Dino Falls Adventure Golf, is fast becoming one of the most successful mini-golf courses in the country. Now the largest mini-golf course of its kind out of London, Dino Falls, located at Trafford Golf Centre, sees more than 1,000 people on the course on its busiest days. 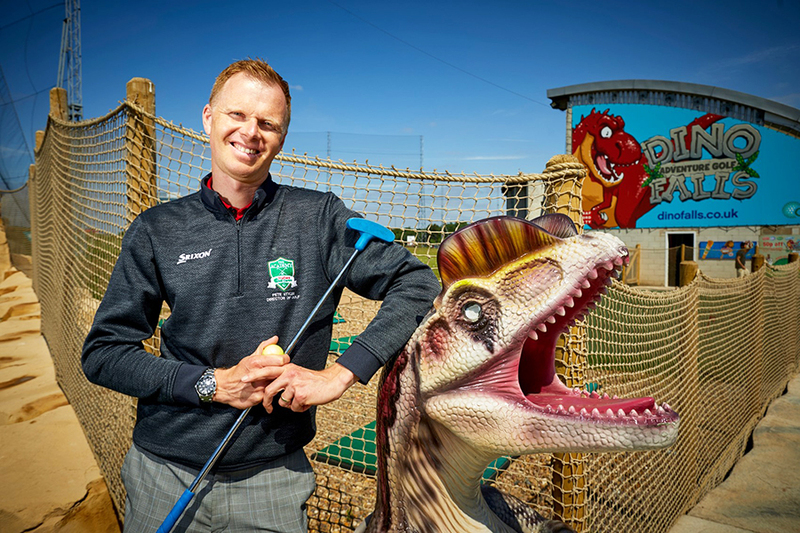 Pete Styles, Director of Golf, at Trafford Golf Centre and Dino Falls Adventure Golf, said: “We’ve seen remarkable growth since the launch of Dino Falls in November. The concept has really taken off and become a must-do activity among Manchester’s leisure scene. “There’s a huge appetite for fun, affordable leisure activities for all ages in Manchester, and Dino Falls ticks all the boxes. We’re open day and night and there’s a casual feel to it as we operate a no booking policy so it’s perfect for families, groups of friends and date nights who can just turn up and play. Dino Falls complements the existing Trafford Golf Centre offering by expanding into the casual leisure and dining market, as well as incorporating the educational market. Pete estimates that Dino Falls has already introduced more than 20,000 children and young people to the game of golf, with over 100 school groups, scouts and girl guides and youth clubs benefitting from the educational programme. For more information on Dino Falls visit www.dinofalls.co.uk.